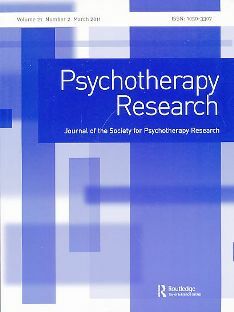 In my Psychology Today blogpost about research in psychotherapy outcomes, and in my last book, I complained about the inflated claims of researchers in psychotherapy - particularly those made by purveyors of cognitive-behavioral therapy (CBT). They grossly overstate both the power and the significance of their results. Unfortunately, a new report by the Institute of Medicine (IOM) falls for this baloney hook, line and sinker. The report on psychosocial interventions for mental illness and substance abuse has drawn a wide variety of responses from the field - including praise, recommendations for improvement, and some sharp criticism from psychiatrists and mental health professionals who are experts on psychotherapy. I am obviously sympathetic to the critics. Of note is that, at least if you believe in free will as I do, patients always can choose to either respond favorably or unfavorably to any intervention a therapist makes. It is just not all that predictable, because everyone can choose to respond differently. In fact, the very same intervention given to seemingly very similar patients can lead to responses that are completely opposite from each other - in one case the patient improves on some dimension, while in the next the patient may get worse! In psychotherapy, patients are very different from one another in ways that vastly outnumber individual differences that affect treatment outcomes in any other field of medicine. Yet another problem with the IOM report and similar viewpoints is that they completely ignore the fact that there is a vast literature within psychotherapy research that does not focus on outcomes but on process. Process research looks at the moment to moment interactions of patients and therapists within the context of their particular relationship. As Les Greenberg, Ph.D, puts it, "Research on change processes is needed to help explain how psychotherapy produces change. To explain processes of change it will be important to measure three types of outcomes—immediate, intermediate, and final—and three levels of process—speech act, episode, and relationship. Emphasis will need to be placed on specifying different types of in-session change episodes and the intermediate outcomes they produce. The assumption that all processes have the same meaning (regardless of context) needs to be dropped, and a context-sensitive process research needs to be developed. Speech acts need to be viewed in the context of the types of episodes in which they occur, and episodes need to be viewed in the context of the type of relationship in which they occur. Speech acts refers to the fact that speech does not merely convey information to, or exchange propositions with, a listener. Sentences do things that are frequently independent of the meaning of the actual words that are used. Speech causes others to perform acts. If I say, "I hear you're having a party Saturday," I am not describing only my recent experience of having heard about the party. I am probably fishing for an actual invitation. In all likelihood, I have made in advance a determination that this sort of statement is the best way to accomplish my goal of attend­ing the party. I have made a prediction about the future behavior of the listener. If this particular ploy leads to no response or a different response, I will consider alternative strategies. Those who tout psychotherapy outcome studies, which study psychotherapy interventions as if they occurred in some sort of relationship vacuum devoid of context, seem to want to pretend that the highly significant process research literature does not even exist. In fact, the vast majority of articles published in the journal Psychiatric Research are process studies, not outcome studies.